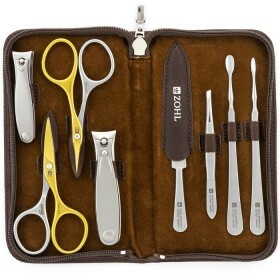 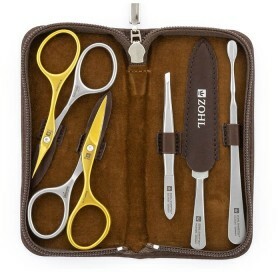 When it comes to stunning manicures, ZOHL manicure set Empress is classic. 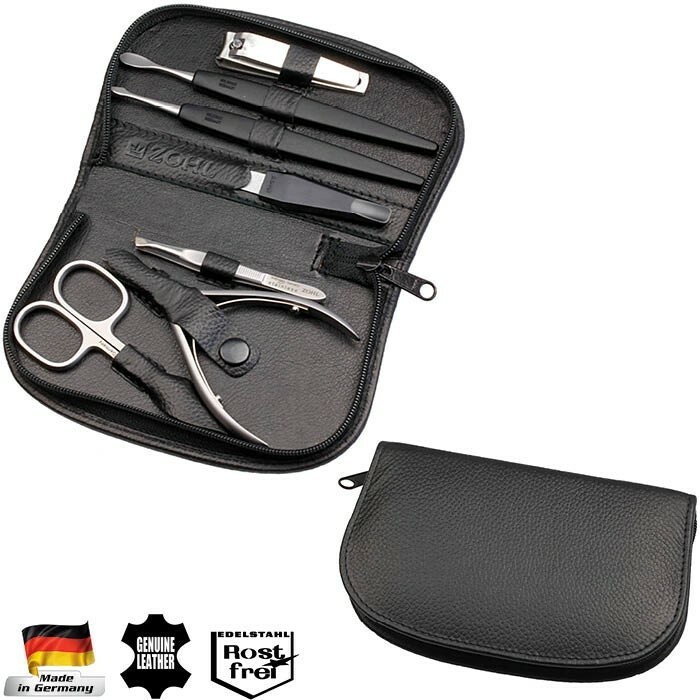 Fine German stainless steel with lasting sharpness of the cutting edge, combined with state-of-the-art technologies, gives you an excellent manicure set that lasts and cuts nails and cuticles with professional precision. 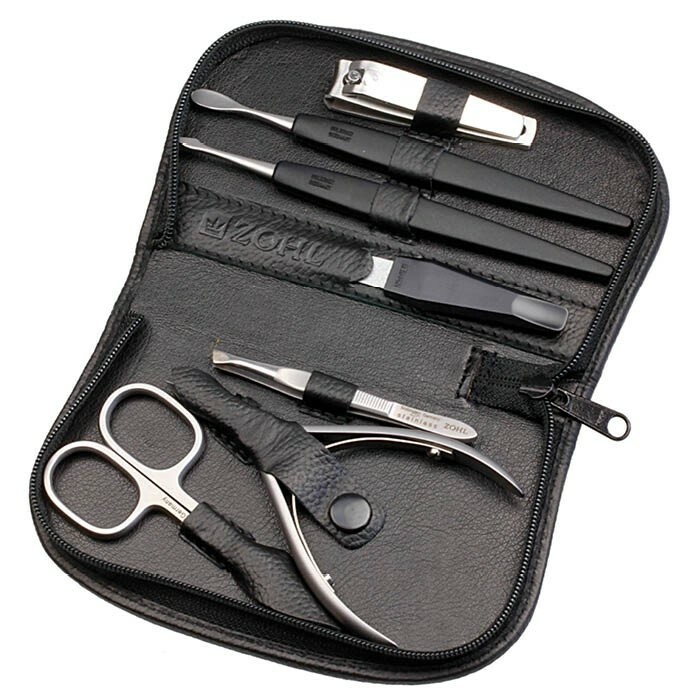 Elegant zippered case, crafted from soft nappa leather in timeless black colour, adds a touch of luxury and protects the blades for long lasting performance. 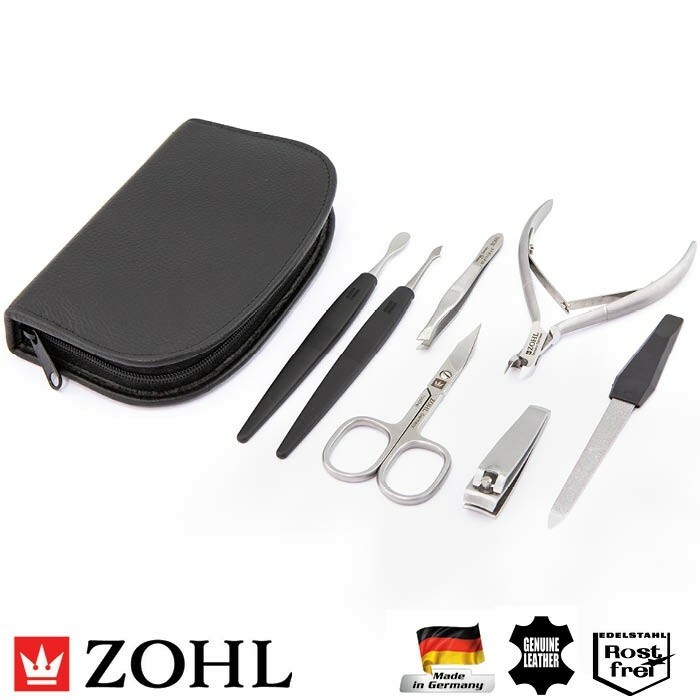 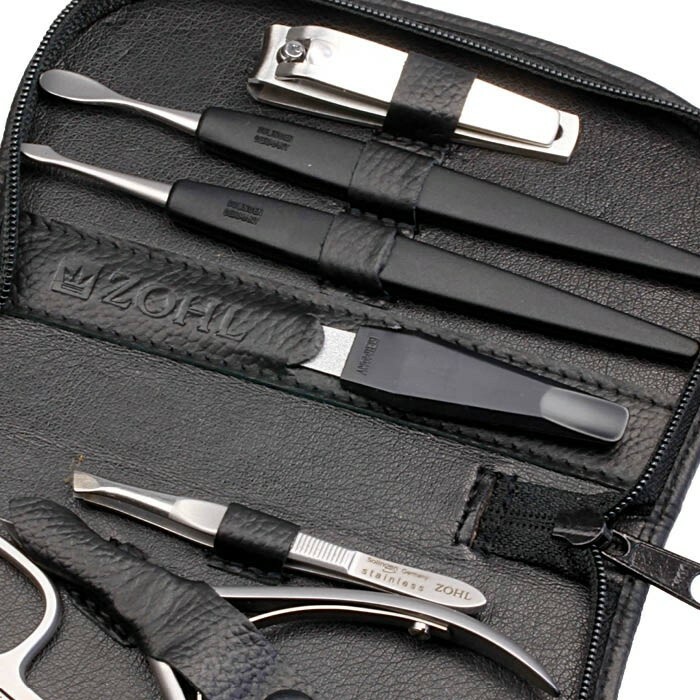 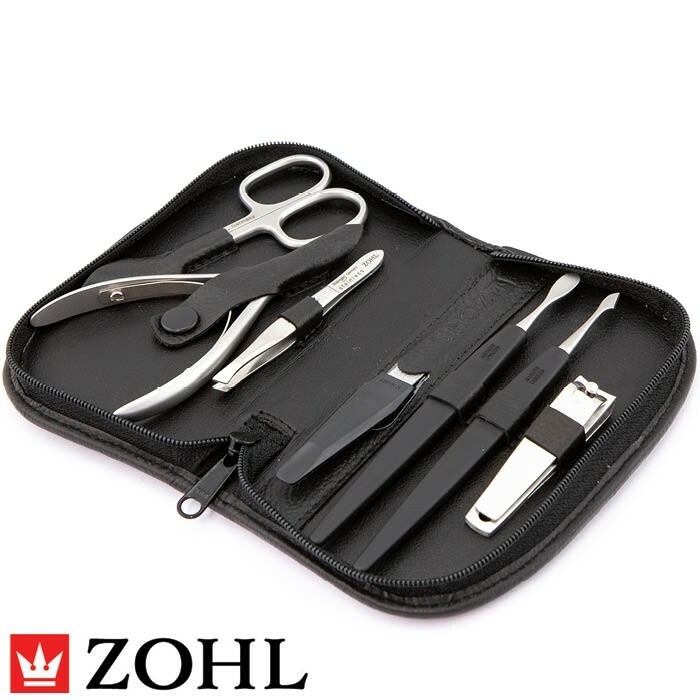 ZOHL manicure set EMPRESS has a German DNA: it is crafted in Germany, from fine German stainless steel and meets the high standards of world-famous German engineering. 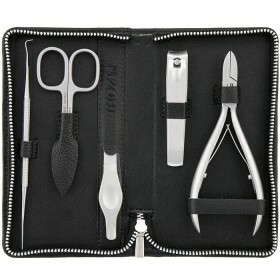 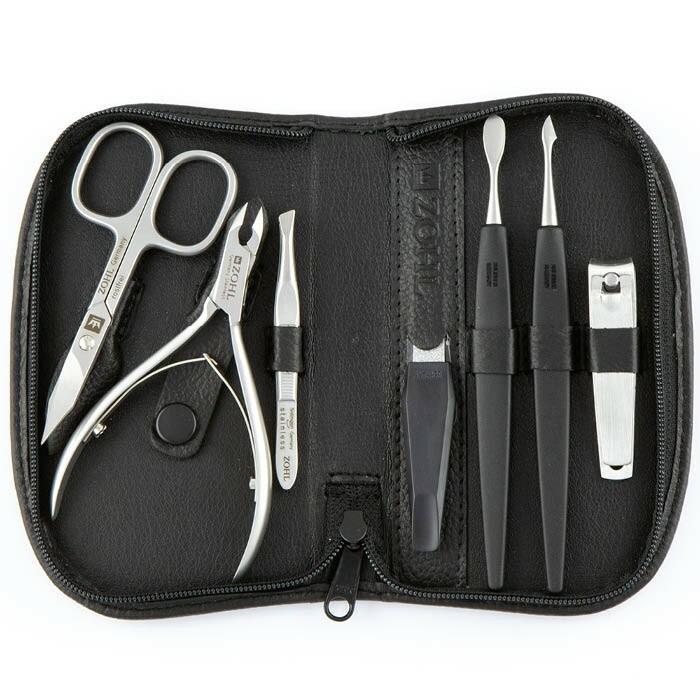 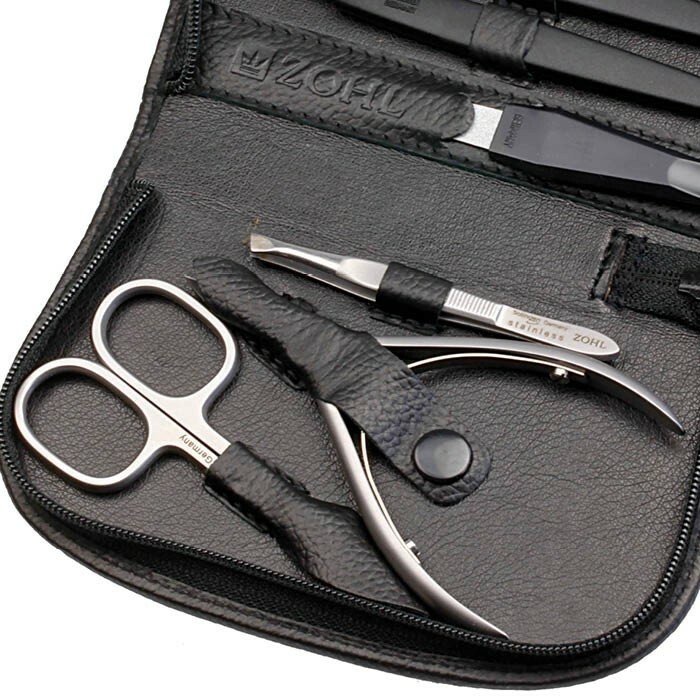 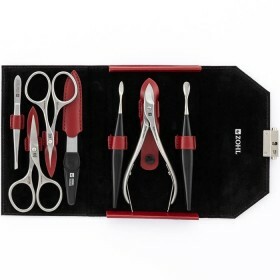 Unique feature of this manicure set is its long lasting durability of the cutting edge. 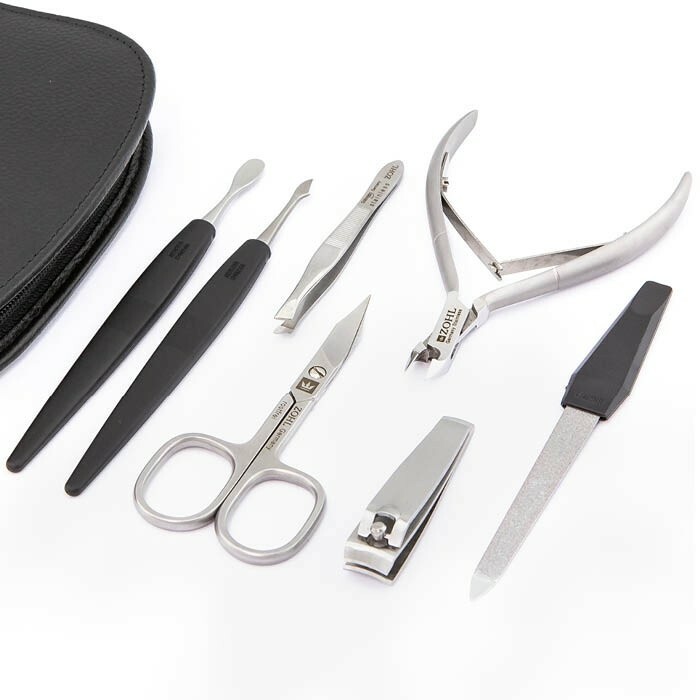 Meticulous sharpening, testing and craftsmanship that goes into each instrument, makes Empress a perfect manicure set that delights with professional precision. 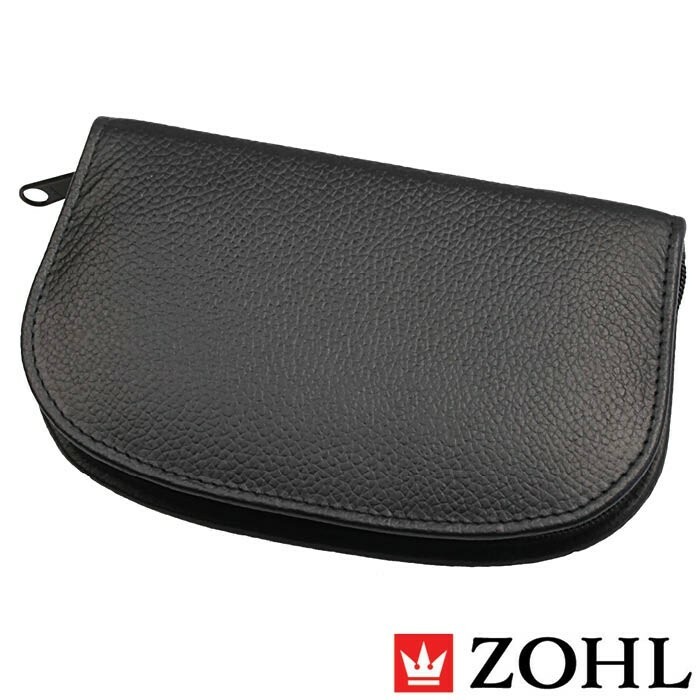 Black leather case is crafted from the finest of leathers with silky shine and very fine grain pattern. 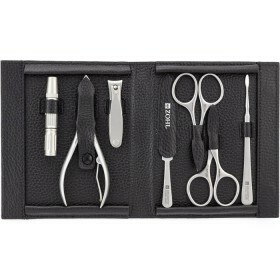 The elegant curve adds further charm and unique character.